of a zen koan – where has the bike itself gone? Frayed saris and squares of newsprint approximate rooms on the street. Necessity’s flesh – haircuts, tyre repair, graves and wombs on the street. in this tidal scent of rubbish, food, urine, diesel fumes on the street. are lost – lung-clearing men hack, a backfiring taxi booms on the street. They play carrom or cards, laugh and smoke and haggle over fruit. Other bodies are carried past (on beds to their tombs) on the street. You make an air-conditioned bookstore your temporary shelter. The cold shadow of a smiling shoeless child looms on the street. Go on, curse the caged gods, run from the city’s cacophanous song. You’ll walk the siren aisle, one of millions of her grooms on the street. getting-on-with-it. Still, it’s urgent red display as it blooms on the street! Cows asleep on the median strip, twenty men sweating in a jeep, defecating kids waving hello, mandirs of dusty mandarins, kerosene wafting through a frayed curtain… all of life’s undisguised perfumes on the street. Andy Jackson’s poetry can be found in many print and on-line journals (including Going Down Swinging, Heat, Island, Blue Dog, Cordite and Thylazine). In 2008, he was awarded grants from the Australia Council and Arts Victoria, and won the Rosemary Dobson Prize for Poetry. 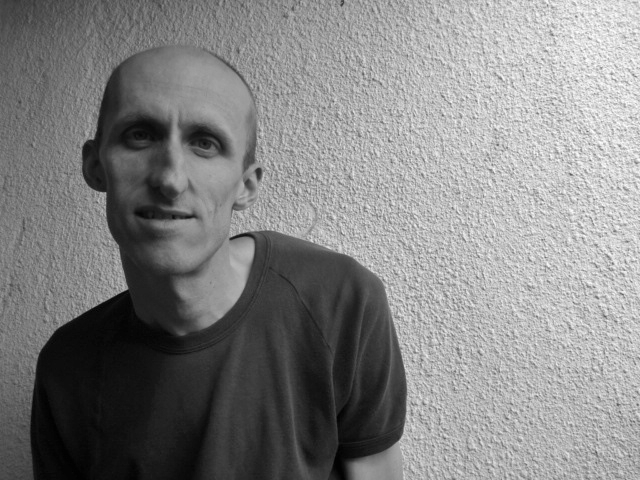 He won the 2009 Overload Poetry Festival’s Most Innovative Work Award for Ambiguous Mirrors, a collaboration with puppeteer Rachael Guy and cellist David Churchill. His most recent collection of poems, Among the Regulars, is due to be published by papertiger media in early 2010. An incredibly natural and fluent style in these two poems. I feel a particular affinity for Ghazals in general. This Ghazal of Andy’s easily surpasses any that I have read or laid claim to; for its vividness of subject and thorough respect of form – though form is interpreted widely. The final sher is unique though in more than its structural sense. A question for Andy. My feeling is that the ‘frayed curtain’ acts as your takhallus (alias). I can’t recall seeing or at least being aware of an alias being offered in a Ghazal with such subtlety and intelligence. Have I interpreted your intention as you intended? well done Andy, a brilliant use of the ghazal form indeed.